Reliance Jio company opened pre-orders last month and gone on record saying that it received over six million JioPhone orders. 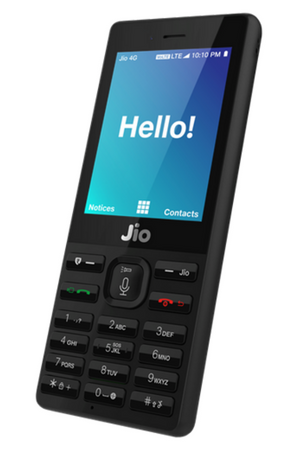 According to a PTI report Jio 4G feature phone deliveries will start from rural areas and small towns before urban centers and it is already started. Jio Care said we have started the delivery of JioPhone in a phased manner to avoid inconvenience to our customers. Please be assured that all customers who have done the pre-booking of JioPhone will receive it by Diwali. This year Diwali will be celebrated on October 19th, so all the customers may get the phone before the festival as per Jio Care response. Jio Care also said we will send an SMS informing about the store address and pickup date as soon as possible it is ready for delivery. If you know your delivery status for JioPhone order will soon be available on 1800 890 8900 or MyJio app and Jio.com official website.